I would be taking home with me party invitation packs, writing sets, a new wallet and some gorgeous rings. Stock up for gifts! 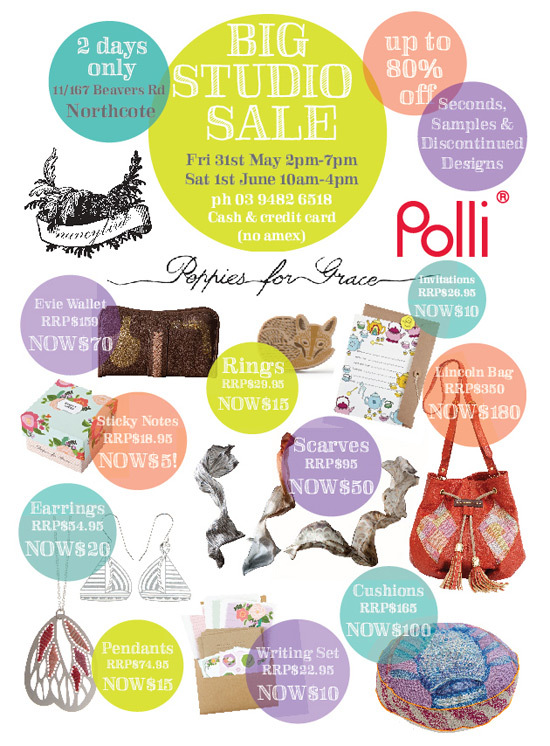 If you are not in Melbourne, head over to the Polli website for the massive online sale. Have fun!